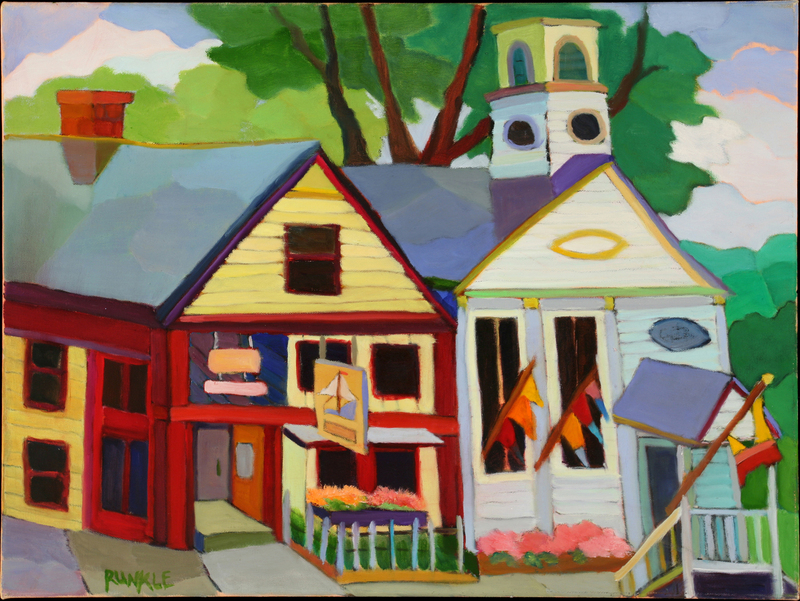 The Matthews-Fuller Health Sciences Library is proud to host an exhibit of oil paintings by Georgie Runkle. 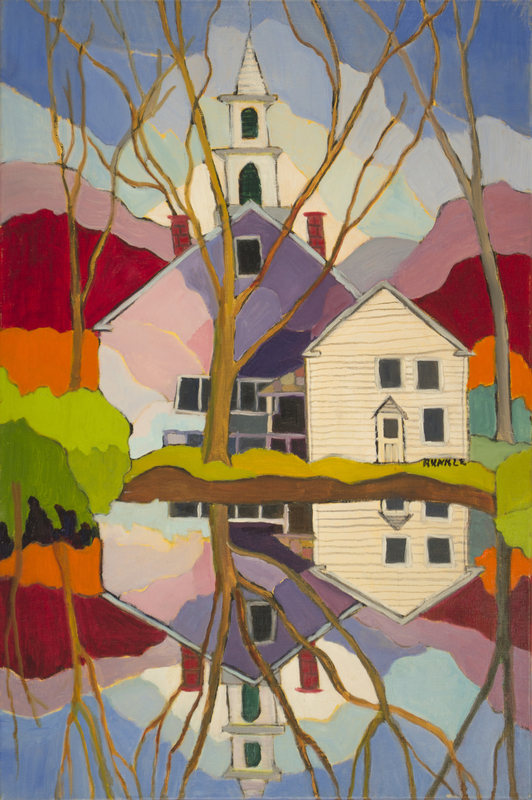 Georgie lives on the Rock River in Marlboro, Vermont where she enjoys painting covered bridges, local barns, and sugar houses because they are iconic Vermont structures that she feels are slowly disappearing. Her goal is to preserve them in the only way that she can…on canvas. 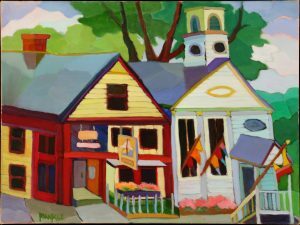 She also loves painting in the Chesapeake Bay area, Quebec, Canada and locales along the Atlantic coast. A few of the places where Georgie has studied are the Barnes Foundation, the Delaware Art Museum, and the Edward L. Loper, Sr. Art School. 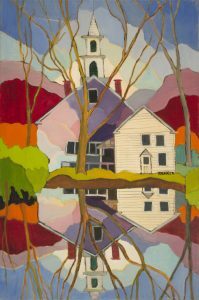 Georgie’s paintings will be on display through March 2018. My paintings are deliberate. They are a mosaic of complex color and shapes arranged on a canvas to create a visual expression of an inner landscape. My art becomes what I see in nature. I am a plein air painter. As you drive through southern Vermont you may see me painting along the roadside, in a field, or beside a barn…anywhere that the setting has attracted my aesthetic sensibility.